The anti-Israel coalition has effectively been focusing on and adversely affecting the vital generation on the campuses and especially the Jewish students there. They know that the the Jewish students on US campuses are the Jewish community's future, future leaders, and are the ones who will determine the American Jewish community's future attitudes toward Israel. They also realize that the immense number of Jewish students on US campuses could potentially become a pro-Israel force that could completely undermine and neutralize their anti-Israel delegitimization campaigns. So their strategy has been to systematically penetrate the mainstream Jewish organizations on university campuses and co-opt impressionable, young, and uninformed Jews. One of the most effective methods that the delegitimization coalition has been using in its efforts to indoctrinate Jewish students has been creating "honey traps," front groups with deceptively attractive names and mission statements. This insidious effort has been one of the most effective tactics that the delegitimization coalition has been utilizing in its efforts to indoctrinate Jewish students. At UC Irvine they promoted the Olive Tree Initiative (OTI which has been closely collaborating with the pro-Hamas International Solidarity Movement - (ISM) an organization that the ADL placed on its list of the top 10 anti-Israel groups in the US. Hillel students have been encouraged to participate in the OTI programs termed "student trips"(including Hillel students, non-Jewish students, and MSU - founded by the Muslim Brotherhood) to "Israel/Palestine." On these trips, the student have been meeting with ISM leaders and other anti-Israel speakers. 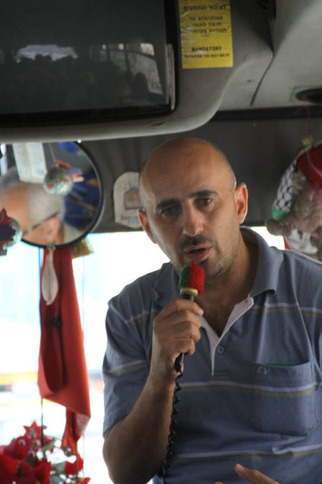 Most the Palestinian speakers who addressed the students on the most recent OTI trip (Sept. 2010), have expressed an overt animus towards Israel, advocating for its elimination or for "non-violent" measures to harm her, such as the boycott, divestment and sanctions (BDS) movement (Also see video), or by allying with terrorist groups that perpetrate violence against Jews. Some of the Israel speakers represent organizations which engage in relentless Israel bashing. Breaking the Silence (BTS), the Israeli NGO that demonizes the Israeli army as committing war crimes (Richard Goldstone cited BTS 27 times, in his infamous UN report libeling Israel as committing war crimes). Ir Amim, another Israeli NGO, bashes Israel relentlessly, and promotes the Palestinian narrative. The International speakers included "neutral" ones such as a representative of Human Rights Watch (HRW), the anti-Israel organization, whose anti-Israel bias was even criticized by its founder. Richard Bernstein. 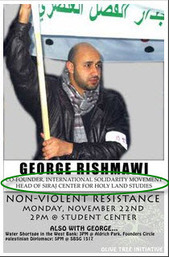 Another "neutral" speaker was the Director of UNRWA in Gaza. He has promoted political warfare targeting Israel, including supporting the "Free Gaza flotillas" and the demonization of Israel. The OTI is indeed an insidious initiative. It transforms students in ways that are hard to expose because the public is so uninformed as to what happens on these trips to "Israel/Palestine." Although it's easy for the public to become angry about Michael Oren being shouted down, it's considerably more difficult for it to comprehend what really happens when students are routinely exposed to ISM manipulations over and over again. It is similar to stealth jihad. The result is an erosion of our students' commitment to, and support for, Israel. The Jewish Federation of Orange County lamentably fell prey to these insidious tactics. Through its Rose Project, it contibutes funds to the Olive Tree Initiative. Click here to see "the overwhelming majority of speakers who have expressed overt animus towards the Jewish state, including advocating for it's elimination". Hillel Leader Falsifies Signatures on Student Petition. Thank you all for taking the time to read this report, and for caring about what is being taught to young people about Israel. 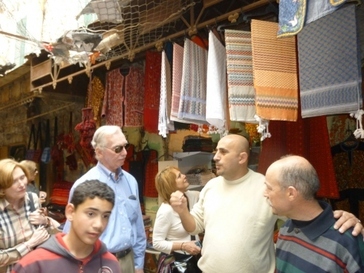 George Rishmawi (co-founder ISM) Is the " tour guide" for OTI. George S Rishmawi, Co-Founder of the ISM, brought to speak at the UCI campus by the Olive Tree Initiative.